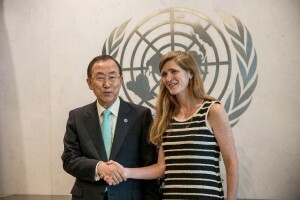 Samantha Power is the 28th US Ambassador to the United Nations, and like some of her predecessors, she comes with a weighty reputation. Adlai Stevenson went to the UN after repeated and failed bids to be his party’s presidential candidate, while George H. W. Bush went there before he became president. The most notable ambassador to the UN was Daniel P. Moynihan, who was sent there by the late President Richard Nixon to sequester the General Assembly, take all-important business to the UN Security Council and use the US veto as well as its financial contributions as a lever to undermine the multilateral body. Moynihan scuttled the UN, laying the foundation for the entry of John Bolton – who had disdain for the institution – as the US ambassador. “There’s no such thing as the UN,” he famously said, and if the 38-story building lost ten of them “it wouldn’t make a bit of difference”. Power is in this tradition, but like her predecessor Susan Rice, she has a patina of liberal support for its operations. In 2008, she published her account of the Baghdad assassination of the Brazilian diplomat Sérgio Vieira de Mello, then the UN Secretary General’s Special Envoy to Iraq (Chasing the Flame: Sergio Vieira de Mello and the Fight to Save the World). Power does not share Bolton’s knee-jerk scorn for the UN – she would like to use it. But the real question, given the government she represents and the ideology she brings with her, is how? Power comes to the UN from the Obama White House, where she ran the Office of Multilateral Affairs and Human Rights in the National Security Council. What do “human rights” have to do with “national security”, one might ask? Her job was certainly not to advocate for a “human rights” or liberal perspective on the War on Terror, or be an ombudsperson for Human Rights Watch, for instance, in the Obama war room. On the contrary, it was to find ways to use the full spectrum of US power (including military force) to adjudicate conflicts overseas that had human rights implications. Power followed the US version of the Responsibility to Protect (R2P) doctrine that the UN hurriedly adopted in 2005. The US intervention in Libya was a test case of the work of people like Power: launch a media barrage to show that the Qaddafi regime was prepared to conduct a genocide, push for tacit coordination with the International Criminal Court’s Jose Moreno Ocampo and with the UN Human Right’s Council’s Navi Pillay, and maintain overt coordination with the European partners and with NATO – all of which led up to a massive aerial bombardment of the country to bring to power a neo-liberal clique with allegiance to the West and to the Gulf Arab states. This was a perfect scenario. It has, of course, unravelled rather badly but neither the White House nor NATO is willing to have a serious reconsideration or investigation of the Libyan case. To do so would be to call into question R2P and liberal military interventionism in the name of human rights. 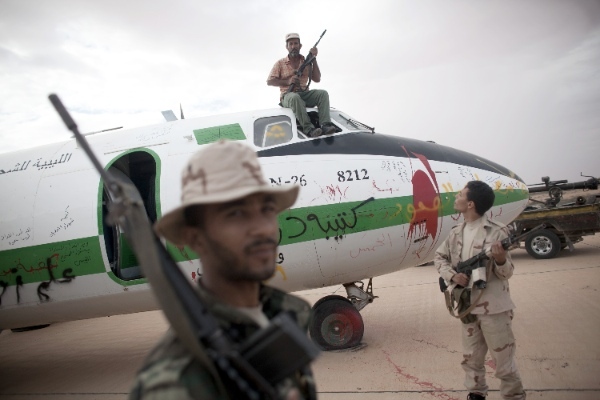 If Libya had turned out well, would that have justified R2P and the “Power Doctrine”? Not according to former Indian Ambassador to the UN Hardeep Singh Puri. The Global North will define which country’s government is threatening its own citizens. The Global North will decide on the strategic approach to be taken toward that country, and it will adopt the tactics it feels are necessary, namely military force. The Libyan example, where Samantha Power played an important policy role, demonstrates that this is precisely the way in which R2P operates (as I showed in my book Arab Spring, Libyan Winter, 2012). It does not follow the view of the 2005 UN discussion on R2P as understood by Ambassador Puri and his peers from the Global South. The UN Security Council needs to work with member states to contain threats, including the promotion of social development as the long-term enemy of violence and warfare. If a member state itself becomes a threat then the UN Security Council must use all its peaceful tools. That the “proper purpose” for the military force is to “avert the threat in question” not for other purposes or motives. That the use of Chapter 7 is a “last resort,” after all other non-military means have been exhausted. That the “scale, duration and intensity” of the action is “proportional” to the meet the threat. That the UNSC “balances the consequences,” aware that the consequence of the action are not going to be worse than the consequences of inaction. This is a sophisticated programme of action, but one that has been set aside by the US. As Power put it in a November 2010 speech, the R2P doctrine is “not the same” as the “fresh, strategic” commitment that the Obama team was making to the use of force. Her National Security post was part of the “fresh commitment” as would be evident in the Libyan war of the next year. It would use the UN bodies as needed, but discard them when they called for a retrospective evaluation (of the Libyan situation, for instance). It would like to determine the “seriousness of threat” by itself, and damn all the consequences. This is the Power doctrine – what the Global South will have to engage with at the UN. It is important, therefore, for the ambassadors of the South to arm themselves with the arsenal of the 2005 R2P principles and hold fast to their protections. 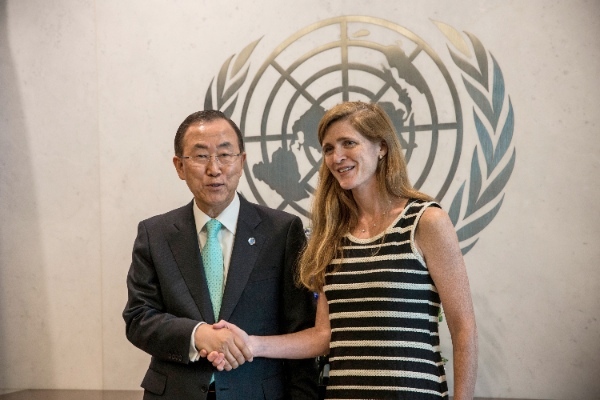 Otherwise, the charismatic Samantha Power, backed by an impatient White House, would be ready to ride roughshod over the planet, the hoof beats of the four horses of the Apocalypse in their wake. Vijay Prashad is the Edward Said Chair at the American University of Beirut, Beirut, Lebanon. His most recent book is The Poorer Nations: A Possible History of the Global South.